Sakae Sushi, the well established Japanese cuisine exists over countries like Malaysia, Singapore, Thailand, Indonesia, Philippine, China and Vietnam. 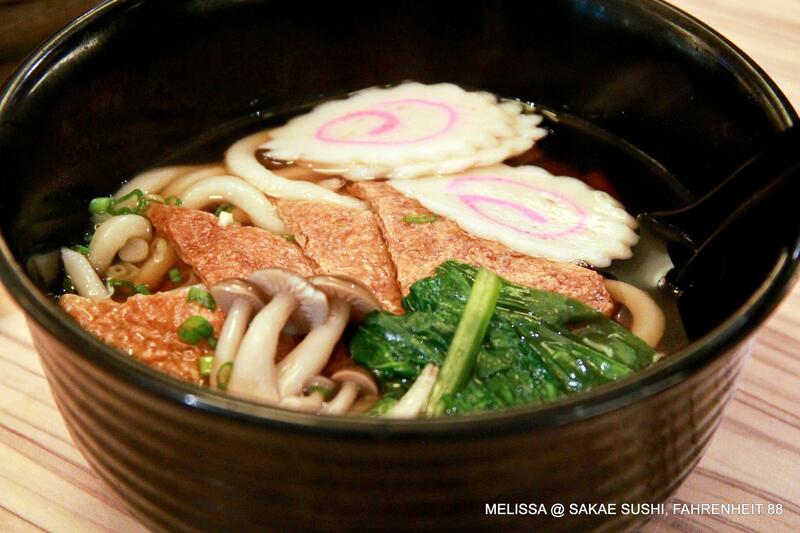 Sakae Sushi provides wide range of Japanese food with an affordable price. 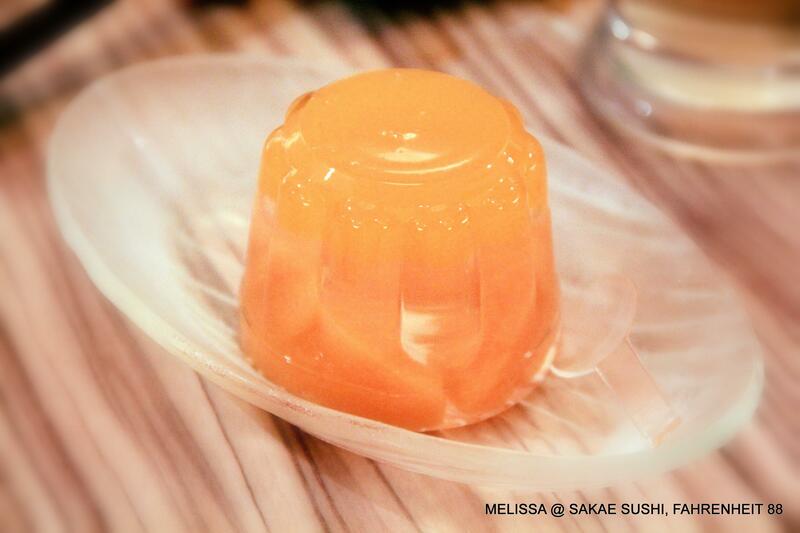 Guess, Sakae Sushi is not any stranger to my dear readers here. 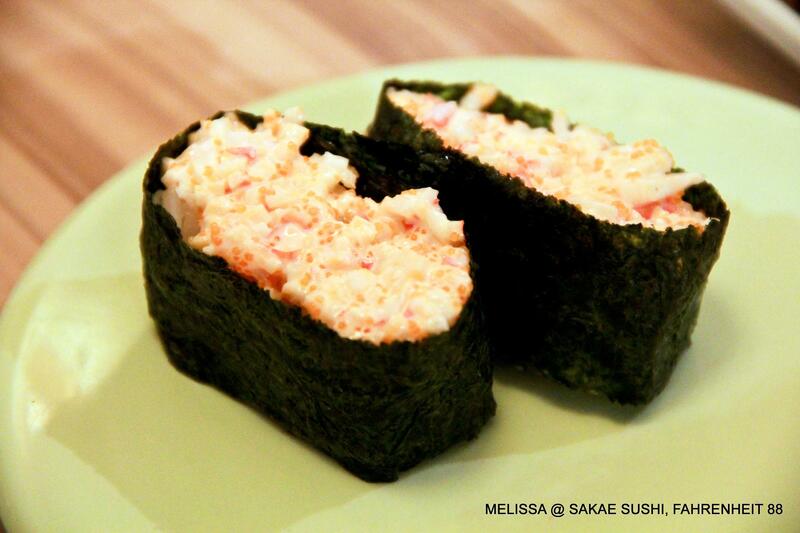 Why is it named ‘Sakae’ sushi? 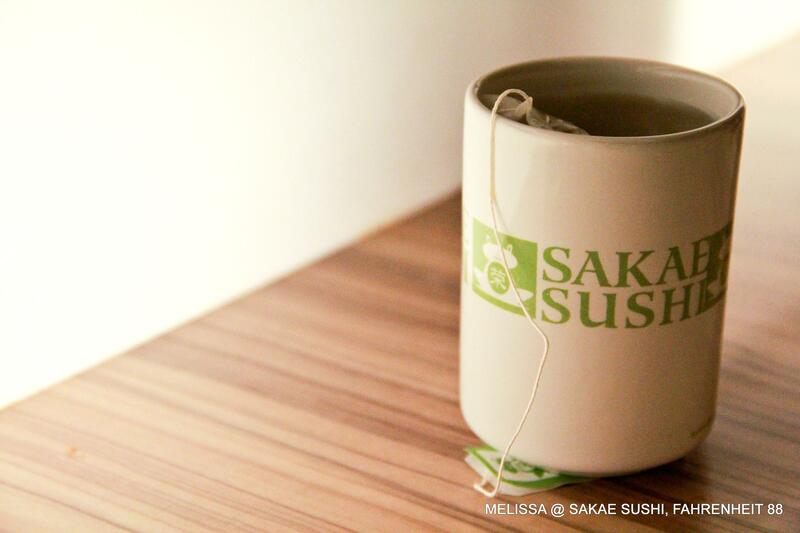 ‘Sakae’, pronounced as ‘Sa – ka – ae”, the word “Sakae” means growth in Japanese. 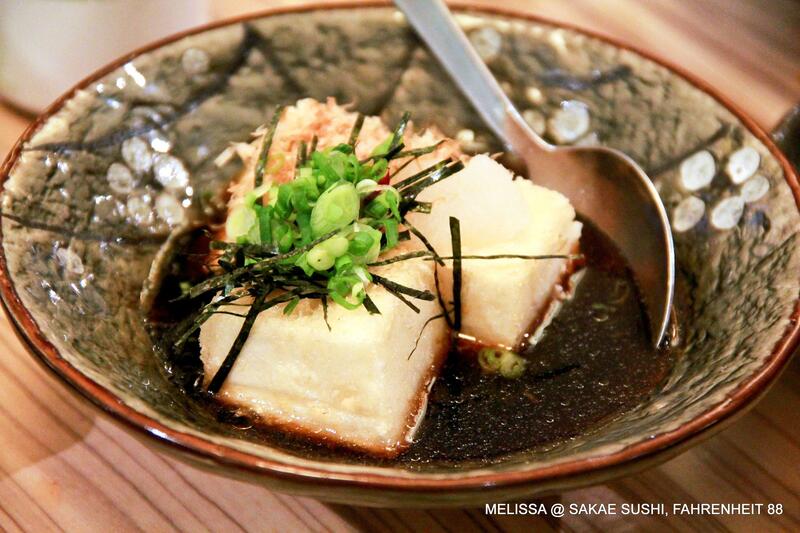 It is also chosen as it sounds like ‘Sake’, the traditional Japanese wine well loved by many in the world. A cup of green tea with a teabag for RM2. Its refillable with just adding on hot water. 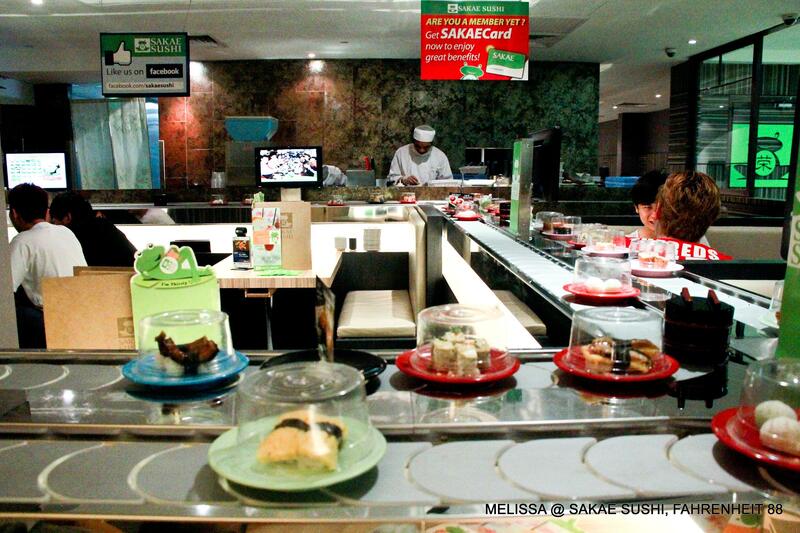 Sushi on conveyor belt are price from RM1.90 to RM5.90(for premium red plates). The environment here is quite good, clean and not messy. 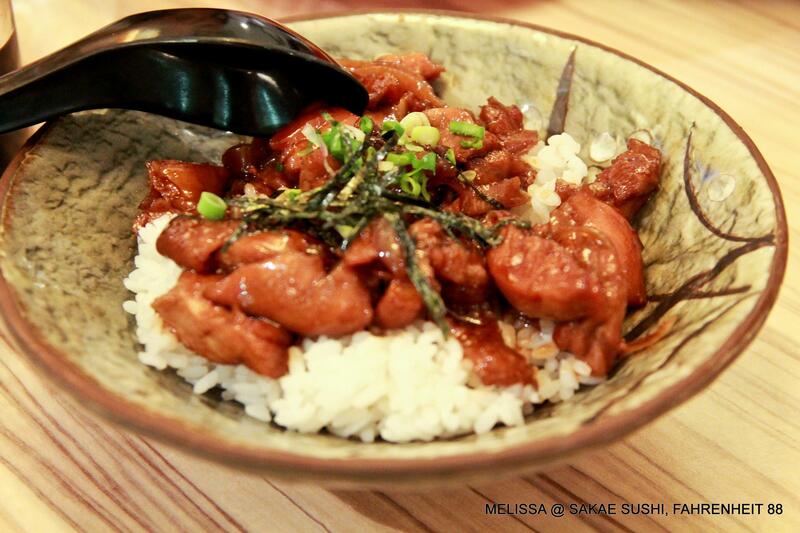 Suitable to dine with friends and also family. 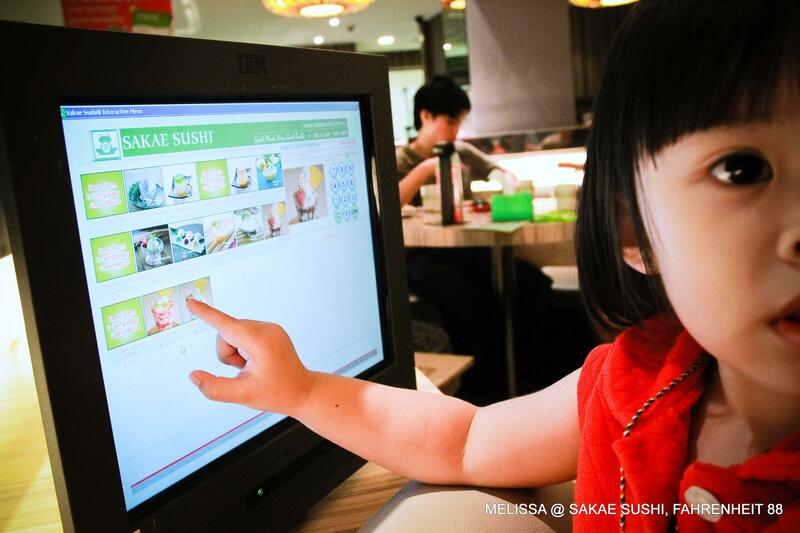 Browsing the menu and also place your orders through this touch screen interactive menu is so hi-tech. This flat screen monitor is placed on every tables. It enables to speed up the ordering progress. With just a single tab, I’m able to make and add orders anytime. And my orders will straight sent to the kitchen through system without making errors. An easy and fun way. Yeap, the above pic, Vernice was making her ‘ice cream’ order. 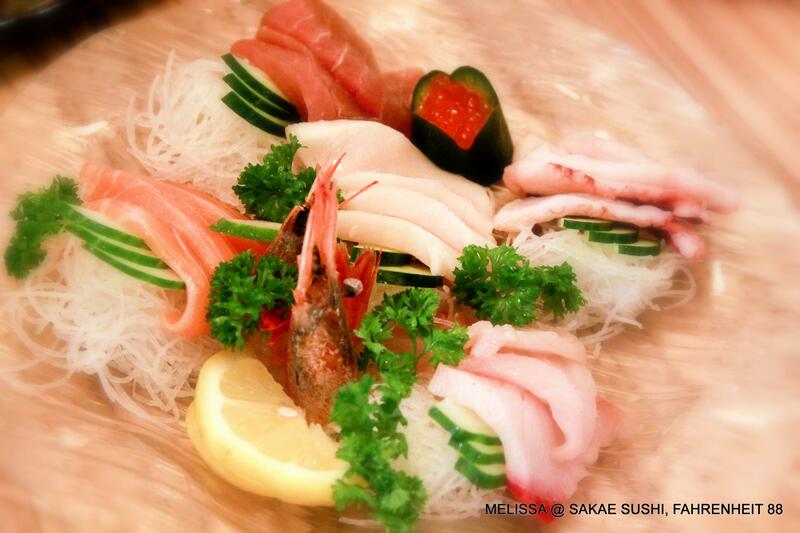 Sashimi Mori Zen – RM49.90 – scallop, sweet shrimp, tuna, yellowtail, octopus, salmon roe and salmon sashimi. The fish slices were just average However I like the salmon roe, it was big and has the “pop” effect. Unfortunately the prawns weren’t that fresh. 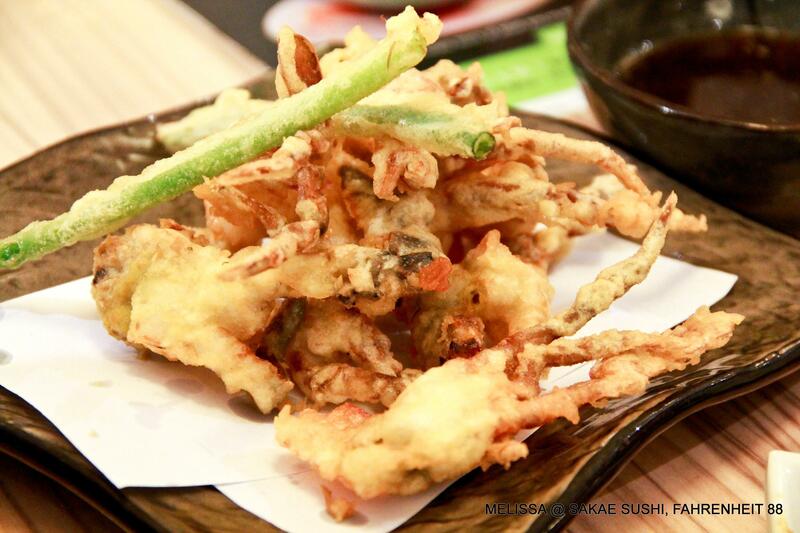 Soft Shell Crab Tempura – RM 13.90. 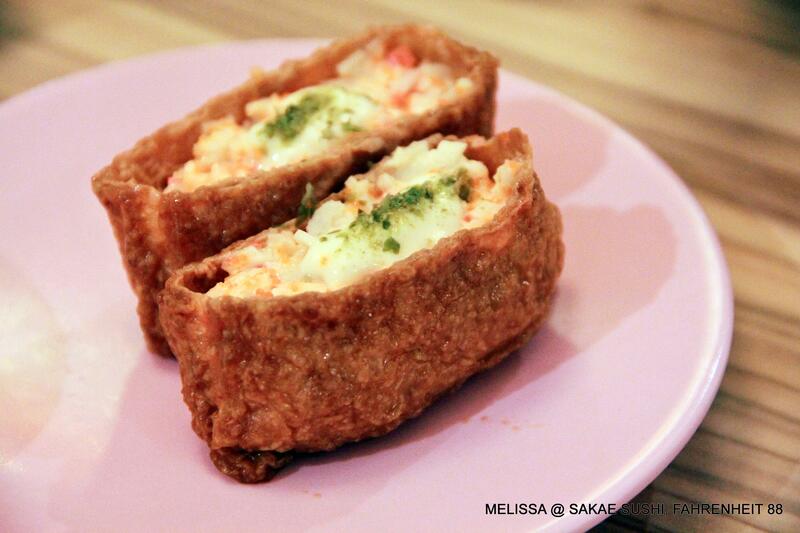 The lightly battered soft shell crab were crispy yet not too oily. 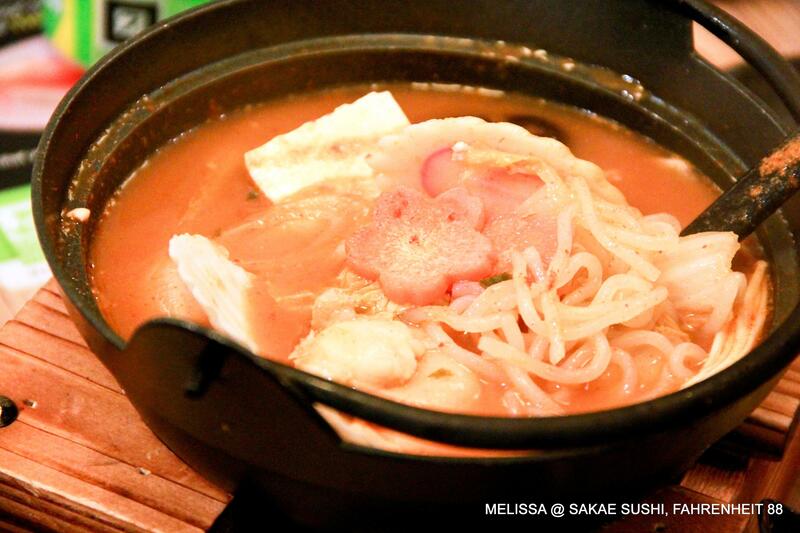 Spicy Hotate Kimuchi Soup – RM16.90, definitely a good choice of spicy soup. Delicious kimchi soup filled with juicy scallops was so appetizing. 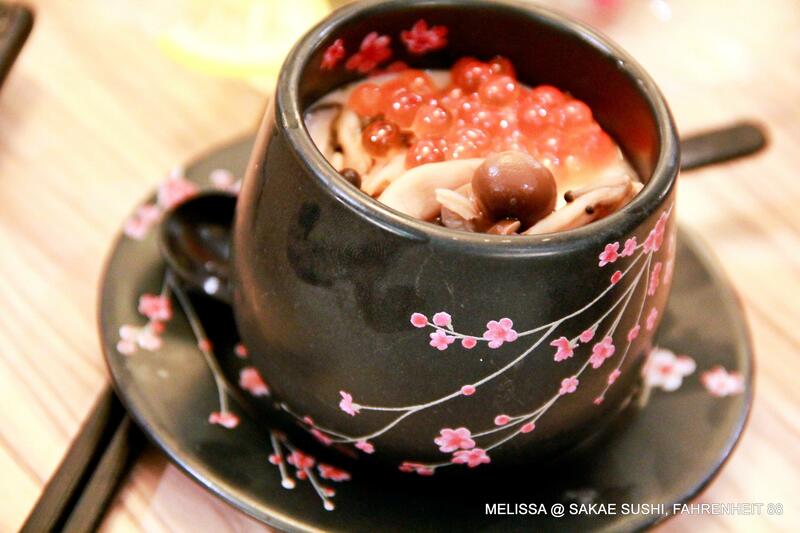 smooth silky steamed egg topped with crunchy salmon roe. 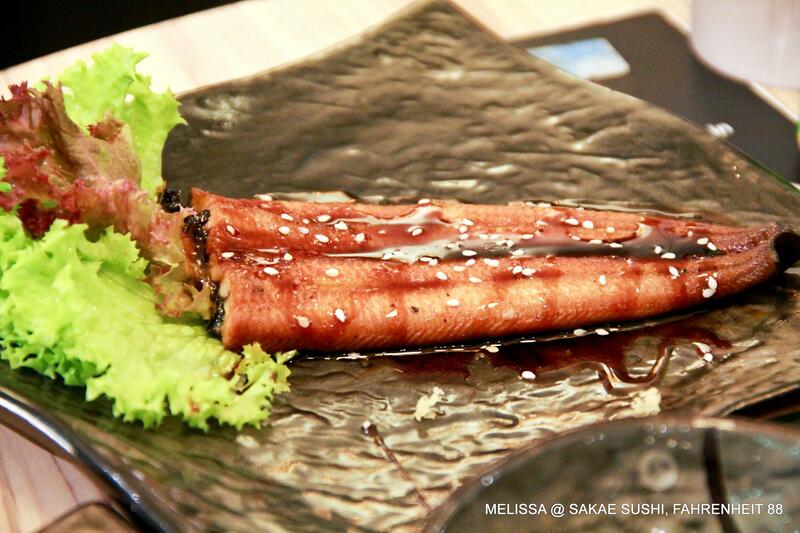 Unagi Kabayaki – RM22.90, just an ordinary unagi with teriyaki sauce. Tasty chicken teriyaki chicken which Vernice claimed it was ‘good’. 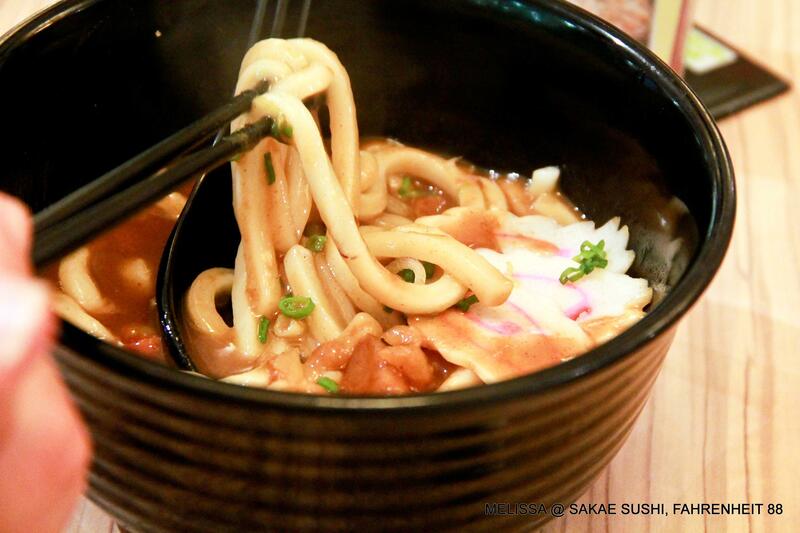 Teriyaki Chicken Ramen – RM12.90. The noodle portion was quite big and the merky soup has nice fragrant of fried garlic, but I find it a lil bland. 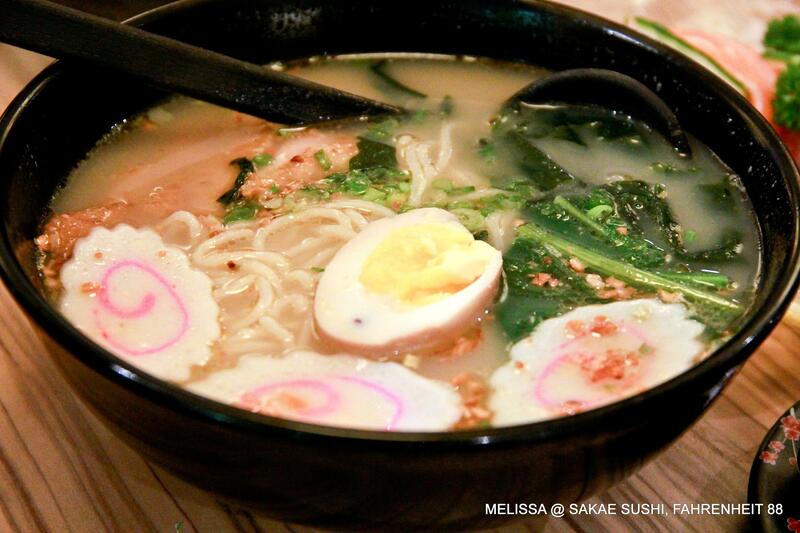 While the ramen was springy and perfectly cooked. 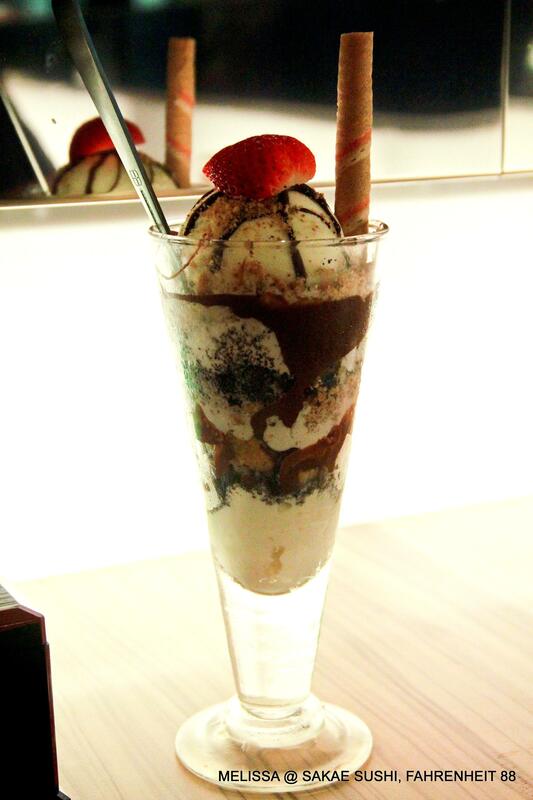 Chokoreto Parfait – RM12.90, rich milk flavor ice cream with layers of chocolate sauce, peanuts and also cornflakes. I quite like it….